Four people, four perspectives. We wanted to go beyond the flight details, the travel intinerary and the credits toward your 500 hour RYT, and seed your soul with the idea that this trip might be the adventure you've been waiting for. 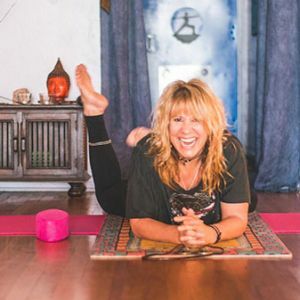 Read on to hear from Aimee, Brenda, Lisa & Sue and take a small glimpse into their experiences in India with YogaFit®. 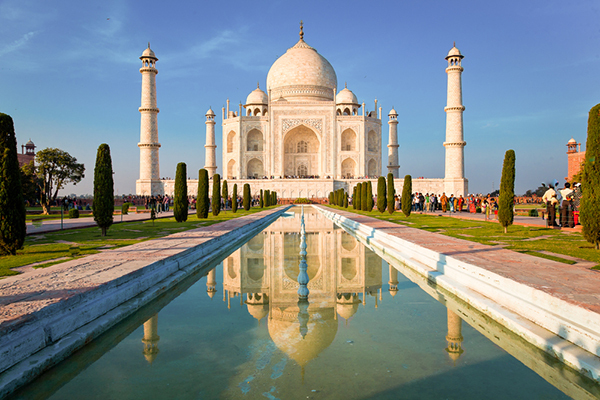 In 2013, I had the wonderful opportunity to travel to India with YogaFit®. I was very excited for what was to come for I had no expectations. It turned into the most fabulous opportunity that I have experienced. Why? I am not sure where to start! The organization of the whole trip was spot on, I never had to wonder how I was going to get somewhere nor my next meal. It was well planned and left no details out. I felt 110% safe at all times. The ashram, hikes, food and interacting with the people was amazing. I left India 100lbs lighter inside and have been able to continue as so. India has changed my life from the inside out—in a very positive way. I would go back in an instant. All I can say is that if it is a thought of yours to take this adventure, then I believe it's calling to you. You will not be disappointed and you will be surprised on how much you will grow from the inside. I do believe that the words "life-changing" are overused in today's society and therefore I will instead describe my experience of traveling to India for the YogaFit® Intensive in December 2013 as "profound". It was no accident that I was "sent" to India at a time when I had experienced great personal loss.—the death of my mother, subsequent sudden loss of two very dear colleagues and professional discord. I found myself saying "I need to escape the pain and find time to reflect on how these events had forever changed me. How can I move on emotionally?" I decided to muster up the courage to travel solo and tell myself that if I am going to move forward I need to "become comfortable being uncomfortable in whatever situation is put in front of me". There were many opportunities from the time my journey began until I landed back home to reinforce that intention. Our travels from Delhi to the Taj Mahal to Rishikesh brought an awareness of the intense poverty, yet ever present compassion of the Indian people. The country flows with beauty, grace and an immense feeling of gratitude for life itself. These words can't even come close to the experience itself. From the amazing yoginis that took part in the intensive, the friendliness of the Sattva Retreat staff to the masterful teachings of Anand, I returned home with a profound realization that having less allows space for true peace. Yoga is life itself in India! Two and a half years later, the teachings grow richer with each personal/professional encounter. Profound. Thank you Anand. Thank you India. 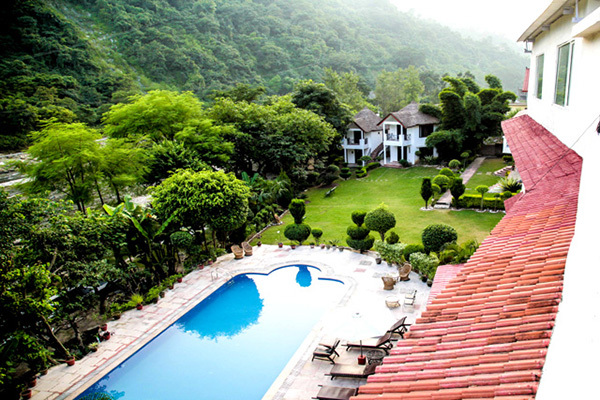 The "ultimate yogi vacation" is truly the best way to describe the YogaFit® Intensive in Rishikesh, India. 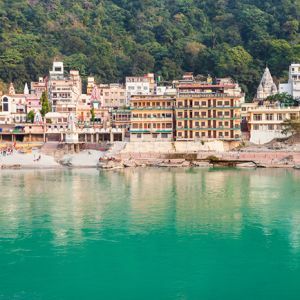 Rishikesh itself is simply magical, set at the foothills of the Himilayas and separated by crystal clear waters of the Ganga. The Sattva Centre where we stayed was like rustic elegance. Clean and quiet and the perfect place to practice yoga. Each day began at 6am with one hour of meditation. The mornings were cold, about 12 degrees Celsius just before sunrise and we would meet in the yoga room all bundled up and wrapped in blankets. Warming ourselves with three minutes of breath of fire and then focusing on our breath while waiting for the birds to wake up and begin singing. From there we would be greeted with warm chai tea and some time for ourselves in reflection. 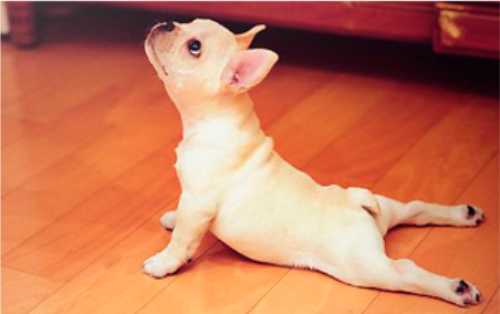 The Yoga practice itself was intense, powerful and graceful all at the same time. Led by Anand, our fearless guru and leader for the week, the majority of our class was based on kriya’s which are cleansing practices. 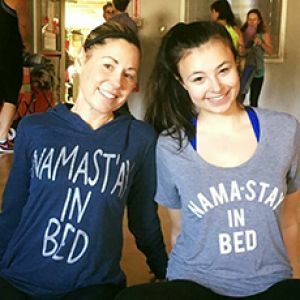 I have been practicing yoga poses for over ten years, I was shocked at how continuously sore from practice I really was. My calves were screaming for days after one of our last classes, and I loved every moment of it. 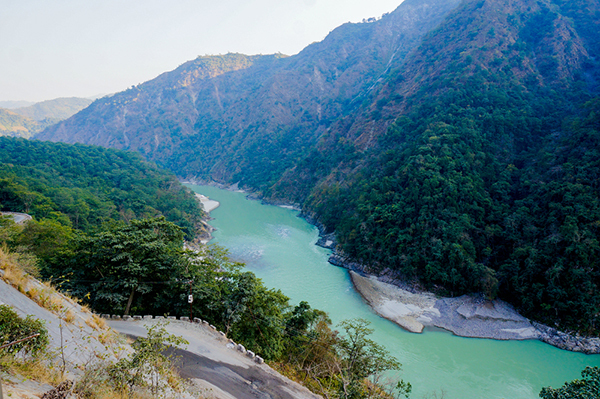 In November 2008, I spent ten beyond memorable days in Rishikesh, India. 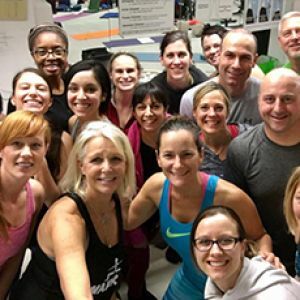 I met 24 ladies there from all over the United States to earn our YogaFit® Levels 4 & 5. We arrived as strangers and left as sisters. We were blessed with a wonderful variety of like-minded, strong-willed and resilient women to share this journey of bliss beyond boundaries. I won’t deny that the journey had its challenging moments but as with life, it’s facing the obstacles by opening our minds and hearts with faith, perseverance, determination, confidence and love that made us stronger and more courageous than ever before. 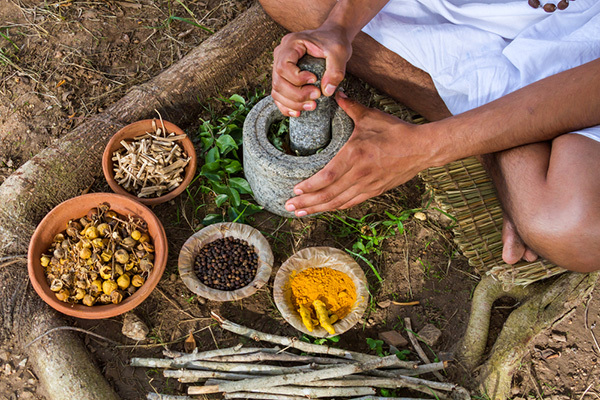 Miscellaneous activities scheduled throughout the trip: mini hikes, cave exploration, fire purification ceremony visiting ashrams, Ayurvedic consultation & treatments, study of the deities, havna and puja at Parmath Niketan and hike to The Divine Mother Temple. *ACE credits cannot be earned with this Intensive.